THE Rangers Youth Development Company has continued its unwavering support for the Rangers Academy by presenting Head of Academy Craig Mulholland and youth graduate Glenn Middleton with a cheque for £400,000. 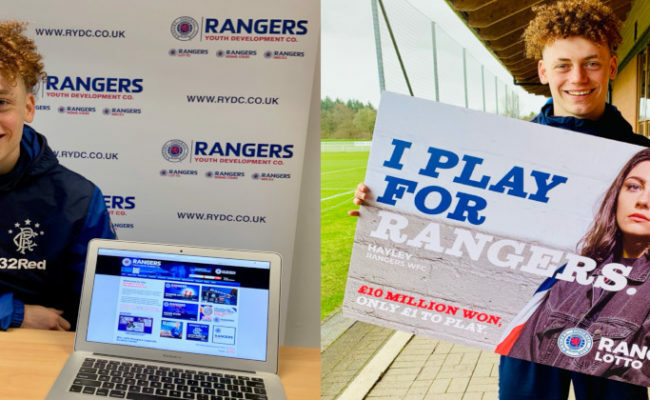 This latest annual contribution – 12 months after their £250,000 donation and 24 months after RYDC’s £175,000 presentation – highlights their long-standing commitment to backing Rangers Football Club’s youth programme. Since 2002, RYDC profit has been directed to the youth department and close to £8 million has been provided in the last 17 years. 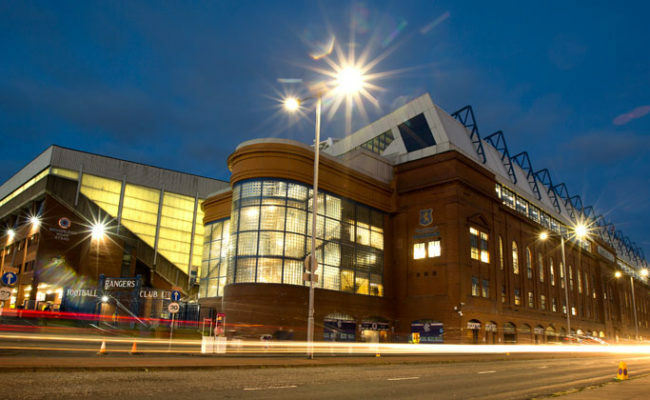 Director of Operations Colin Stewart made the presentation at Ibrox Stadium after the weekend friendly game with HJK Helsinki and the £400,000 raised is profit from their ongoing products – which include Rangers Lotto, Rising Stars, Scratchcards, Stadium Bricks and The Youth Members Club. Thousands of supporters worldwide participate in weekly RYDC initiatives and Colin has paid a glowing tribute to the fans for their incredible generosity. 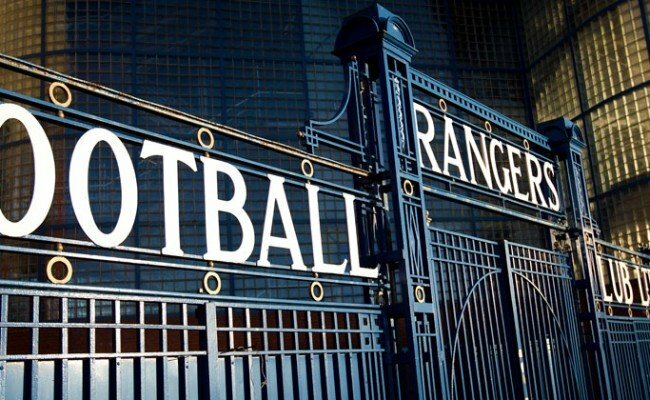 He commented: “The Rangers Youth Development Company is delighted to present the Youth Academy with another £400,000 and this takes our total donation to the club’s youth programme to £825,000 in just three years. 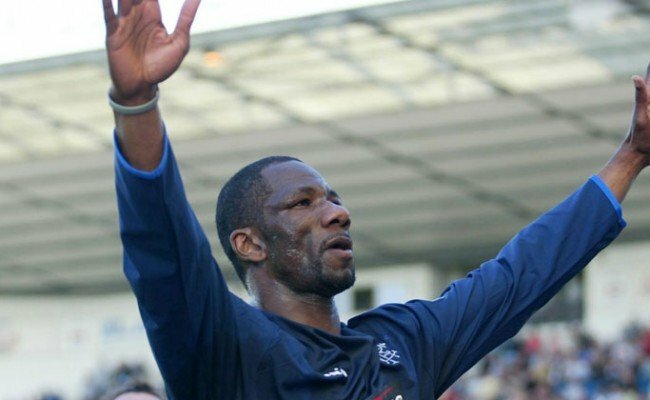 “RYDC is totally committed to assisting youth development at Rangers and the fans deserve great credit once again for their unbelievable backing. They go above and beyond in their support for the club and RYDC’s initiative and I thank each and every one. Craig Mulholland added: “On behalf of all the staff and players at the Academy, we would genuinely like to thank Colin Stewart and his team for their ongoing, fantastic support. The Rangers Youth Development Company has supported the Academy for more than 50 years and we are thrilled to receive this latest donation of £400,000, which is an incredible amount. “I would also like to thank the Rangers supporters, whose contribution allows us to undertake our exciting and ambitious plans for the Academy. Together I am confident we can achieve something special. “The progress our Academy has made in the last three years has been phenomenal – a new innovative elite schools programme at Boclair Academy where 30 young Rangers players undertake up to 18 hours of contact time per week, the appointment of top coaches such as Graeme Murty, Peter Lovenkrands, David McCallum, Malky Thomson, Stephen Wright, Brian Gilmour, Kevin Thomson and Gregory Vignal to name but a few and we tripled our staff numbers in our Performance and Analysis teams. “We increased our number of international youth players from 17 to 32, doubled our number of scouts, undertook an innovative European games programme which saw wins over the likes of Benfica, Bayern Munich, Villareal, Valencia, Copenhagen, and AEK Athens and created a new Academy culture & football methodology. “We achieved a score of 88% when independently audited by top European auditors – the highest in Scotland and higher than the average of top European Academies – and took part in more than 240 cross border games to create player challenge. “These are only some of the many achievements that we could list. It has been an incredible journey delivered at pace and one that would not be possible without the work of RYDC. “Most importantly we are delighted to now see the outcomes of this exciting strategy start to come to the fore. Ross McCrorie’s recent performance in the Old Firm game was outstanding and he has now achieved more than 40 appearances in the first team. “To see Glenn Middleton score in the Europa League against Spartak Moscow on his way to well over 20 appearances so far this season was fantastic for all in the Academy. “Since Steven Gerrard became Manager he has already given three Academy players in Glenn, Stevie Kelly and Serge Atakayi their competitive debuts in a short six month period while more than 20 Academy players have trained with the first team. 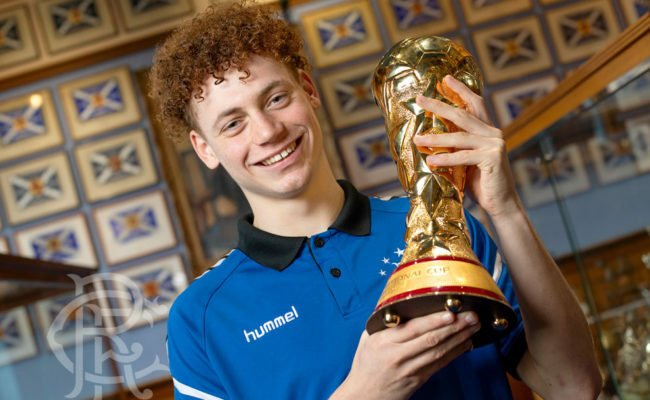 “Steven’s commitment to developing talent, along with Mark Allen’s desire to put a pathway in place which will allow a flow of young players to the first team, combined with the work of a dedicated and talented Academy staff team, means there has never been a more exciting time to be a young player at Rangers.